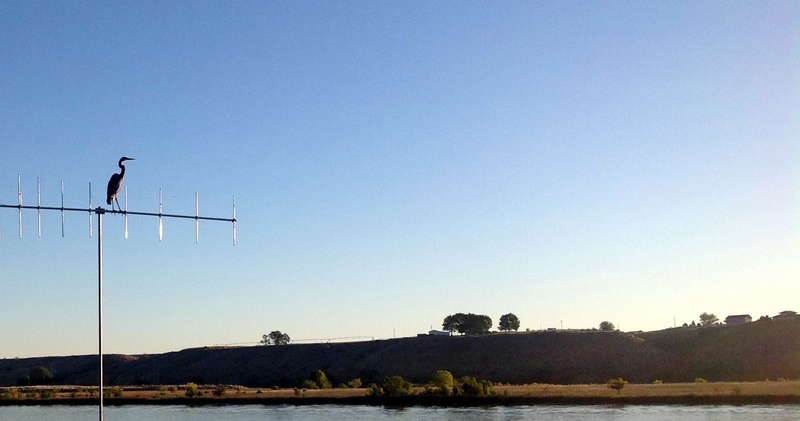 On a recent non-foggy walk into work along the Columbia River a great blue heron flew by me and landed on an antenna. I’ve seen them land in trees, but this was really unusual. I walked by and he was quite unconcerned as he surveyed the river. My favorite bird. And you took a lovely image.